Description: The leukocyte cell adhesion molecule belongs to the class of cell membrane glycoproteins known as integrins, which are alpha-beta heterodimers. The alpha subunits vary in size from 120 to 180 kD and each is noncovalently associated with a beta subunit (90 to 110 kD). There are 8 known beta subunits and 14 known alpha subunits. Although the alpha and beta subunits could in theory associate to give more than 100 integrin heterodimers, the diversity is restricted and different combinations are associated with different cell types (Hynes, 1992). Function: By quantitative fluorescence flow cytometric analysis, Taylor et al. (1988) showed that the expression of CD18 was increased in lymphoblastoid cells from persons with Down syndrome, consistent with the location of the gene on chromosome 21. Source Reference: [PubMed ID: 10571053] Pfaff M, Du X, Ginsberg MH, Calpain cleavage of integrin beta cytoplasmic domains. FEBS Lett. 1999 Oct 22;460(1):17-22. [PubMed ID: 11700305] ... Fagerholm S, Morrice N, Gahmberg CG, Cohen P, Phosphorylation of the cytoplasmic domain of the integrin CD18 chain by protein kinase C isoforms in leukocytes. J Biol Chem. 2002 Jan 18;277(3):1728-38. Epub 2001 Nov 7. [PubMed ID: 1352501] ... Corbi AL, Vara A, Ursa A, Garcia Rodriguez MC, Fontan G, Sanchez-Madrid F, Molecular basis for a severe case of leukocyte adhesion deficiency. Eur J Immunol. 1992 Jul;22(7):1877-81. [PubMed ID: 1590804] ... Matsuura S, Kishi F, Tsukahara M, Nunoi H, Matsuda I, Kobayashi K, Kajii T, Leukocyte adhesion deficiency: identification of novel mutations in two Japanese patients with a severe form. Biochem Biophys Res Commun. 1992 May 15;184(3):1460-7. [PubMed ID: 1347532] ... Back AL, Kwok WW, Hickstein DD, Identification of two molecular defects in a child with leukocyte adherence deficiency. J Biol Chem. 1992 Mar 15;267(8):5482-7. [PubMed ID: 1346613] ... Nelson C, Rabb H, Arnaout MA, Genetic cause of leukocyte adhesion molecule deficiency. 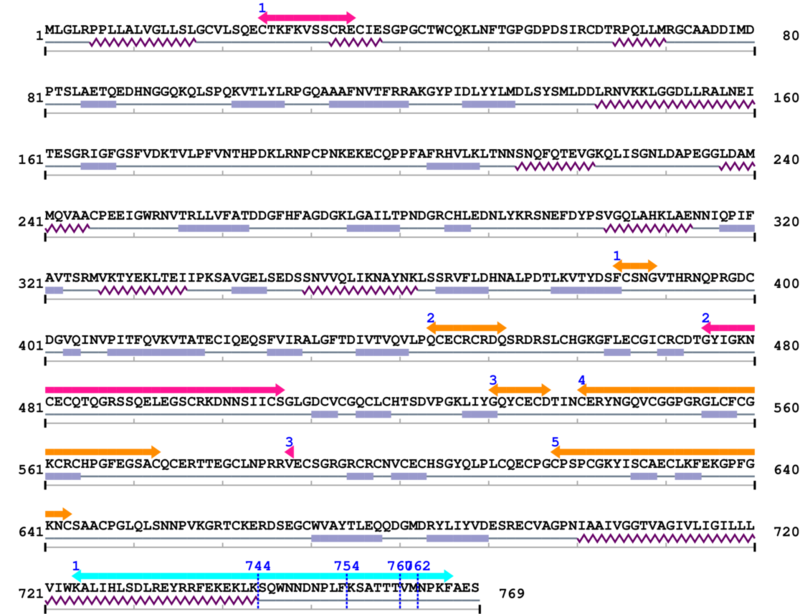 Abnormal splicing and a missense mutation in a conserved region of CD18 impair cell surface expression of beta 2 integrins. J Biol Chem. 1992 Feb 15;267(5):3351-7. [PubMed ID: 1674496] ... Petersen MB, Slaugenhaupt SA, Lewis JG, Warren AC, Chakravarti A, Antonarakis SE, A genetic linkage map of 27 markers on human chromosome 21. Genomics. 1991 Mar;9(3):407-19.